After creating message template the message is verified by the Textlocal. 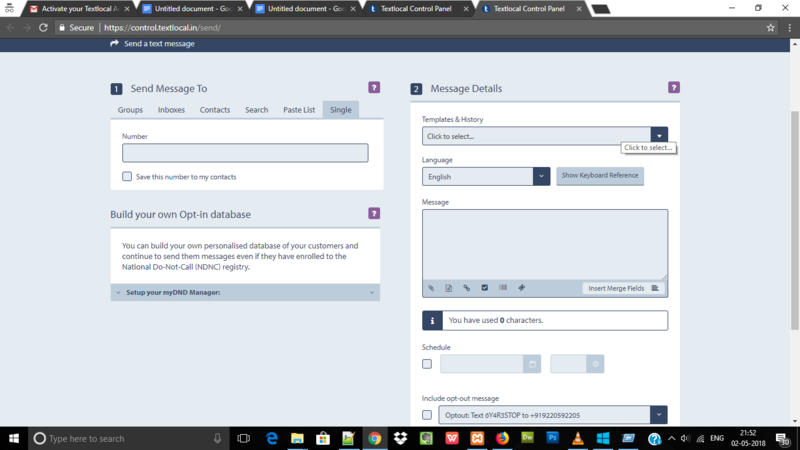 Sometime Sms alert is blocked by textlocal whenever we don’t store the contact information of the user to whom we send the message so to enable it we have to provide the screenshot of the table in which we store the user detail (number,message,datetime) to Textlocal. $sender = "WHTSUP"; // This is who the message appears to be from. 2. Test the sms alert from the Textlocal dashboard by passing the number, message template.